Katharina Aki Jäckle was born in Starnberg in 1989 to a German-Japanese family of musicians. She received piano lessons from the age of five and cello lessons from the age of eight. In 2002 she was accepted as a junior student at Munich University of Music and Theatre, where she studied with Wen-Sinn Yang. She completed her studies under Jens Peter Maintz at Berlin University of the Arts, first with an artist’s diploma and later with a master’s degree in performance. From 2009 to 2011 she studied chamber music with the Artemis Quartet and attended master-classes inter alia with Heinrich Schiff, Frans Helmerson, Wolfgang Emanuel Schmidt and Peter Bruns. She received many prizes at Germany’s youth competition Jugend musiziert, including a first prize in solo cello (2007). 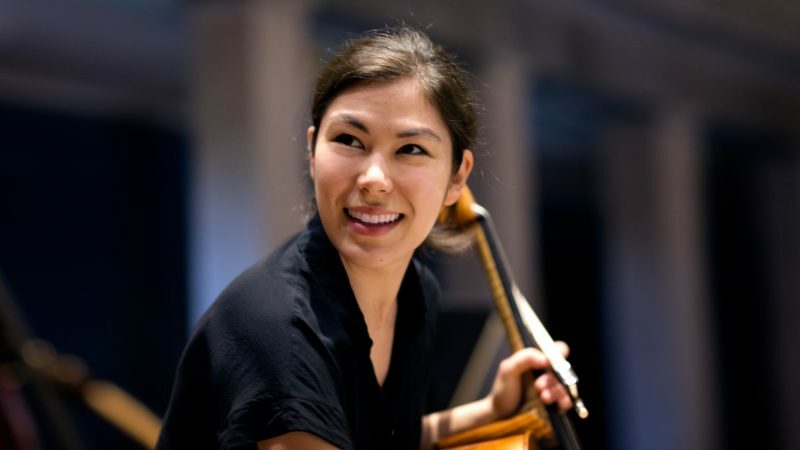 These were followed by other awards, such as a second prize at the Dotzauer International Competition for Young Cellists (2009), a first prize and the Paul Hindemith Gold Medal at the Hindemith International Competition in Berlin (2011) and a special prize for her readings of Bach as a finalist at the “Ton und Erklärung” Competition, sponsored by the Arts and Culture Association of the German Economy. Her solo appearances have taken her to the Young Munich Symphony, the Württemberg Philharmonic in Reutlingen and the North German Radio Philharmonic in Hanover. In 2012 she launched her orchestral career with a scholarship to the Ferenc Fricsay Orchestra Academy of the German SO (Berlin). In 2013 she relocated to the Bavarian RSO, first with a temporary contract and from 2015 as a permanent member.